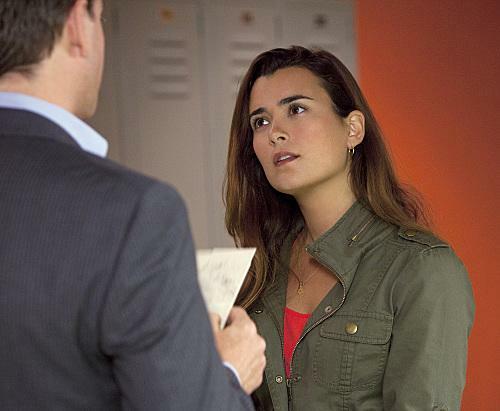 Could NCIS season 16 episode 13 actually lead to Cote de Pablo return? We’ve tried to steer clear of Cote de Pablo – NCIS speculation for the past couple of years, mostly because it didn’t feel like there was any chance that she would ever return. If she wasn’t back for the end of Tony’s run on the show, what other sensible way was there to bring the character back? There are always rumors, but the majority of them are generated by websites wanting to regurgitate the same thing over and over again for attention. Related NCIS video – Be sure to get some other information regarding this upcoming episode right now at the bottom of this article! Meanwhile, remember to subscribe to CarterMatt on YouTube for more information, and be sure to check out our playlist. Moving into NCIS season 16 episode 13 on Tuesday, things feel a little bit different. For the first time since Tony’s exit, Ziva is factoring into the story in a big way — a secret from her past, something that surfaces through an investigation from Ellie Bishop that leaves some of the team on edge. Why is it? We have a hard time thinking that it’s something minor given that if it was, why craft a story about it? Why tell this story at all since it’s been so long since Ziva’s been a part of the show? Is there a need for more emotional closure on the character? If we were to generate a theory based on the information that’s out there about this episode (entitled “She”), it’s that NCIS could have some sort of larger plan — maybe one that lasts longer than one episode. There’s just not a lot of sense in bringing up Ziva out of nowhere for an episode unless there’s a greater reason outside of this being sweeps. Maybe it is something that is meant to set up a story that is planned later this season — or, maybe it’s just giving themselves an option for something down the road. One of the prevailing theories entering this episode is that the team could discover evidence that Ziva is not actually dead. That could set up a return for Cote later this season/in another season down the road. Even if there is nothing 100% planned, they would at least be giving themselves an option. That’s something that they haven’t really had since Michael Weatherly left. The thing is we can’t see them bringing her back permanently as an agent without Tony also coming back in some capacity. He’s been off looking for answers about her and the team (and certainly his father) knows where he is so if Ziva comes back to the team would no one pick up the phone and let him know? Of course they would so what reason could Tony possibly have to not also come back to be reunited with her, and with Michael Weatherly over on Bull (which films at the same time as NCIS) we don’t see him returning. They will have to give us a really good reason for her coming back and him not being there with her daughter. The one question you do have to wonder, provided Ziva is actually alive, is simply this: Why hasn’t she sought out Tony and her daughter? You have to think that if she was eventually out there, she would seek out the two of them. In turn, you would think that Tony would pass along that information to her. Maybe there is a really good reason for that, such as she’s been captured or she is off tracking a secret case that she needs to feel whole. Maybe she’s afraid that it would follow her if she doesn’t take care of it? Ziva is still alive, and eventually finds her way to Tony and they can be happy — even if they are not on the show anymore. This would at least allow the show to correct once of its great wrongs in how the Ziva character was originally written out. Related News – Check out the extended promo for this episode! How do you think that NCIS could still be alive? Be sure to share right now in the comments!